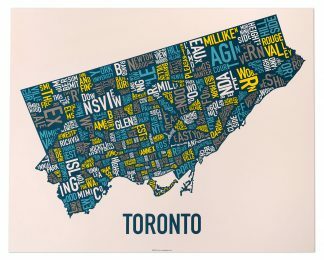 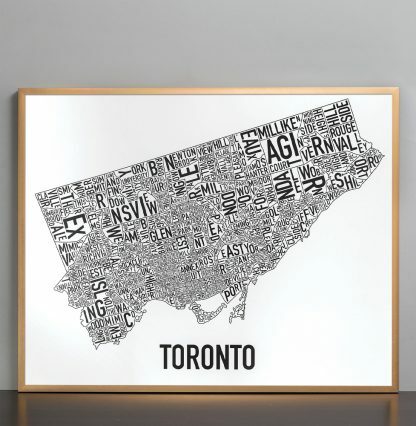 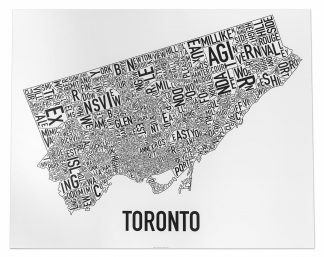 30″ x 24″ typographic map of the neighbourhoods within the city limits of Toronto, Ontario. 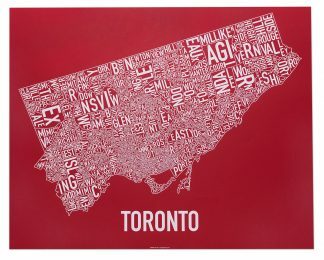 The letters of each neighbourhood name are twisted and turned to fit inside the area of the neighbourhood. Please note all prices are in USD.